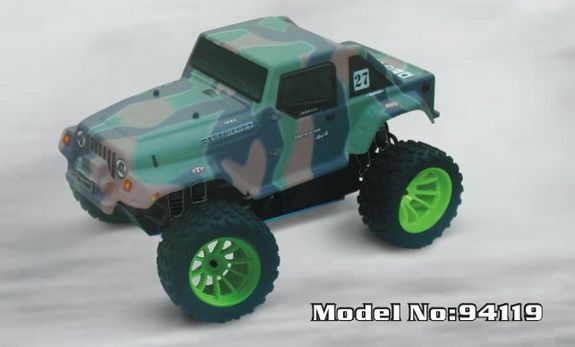 More and more attention has being converged on Jeep trucks recently because they are perfect for climbing on the rocks and running on any uneven surface. 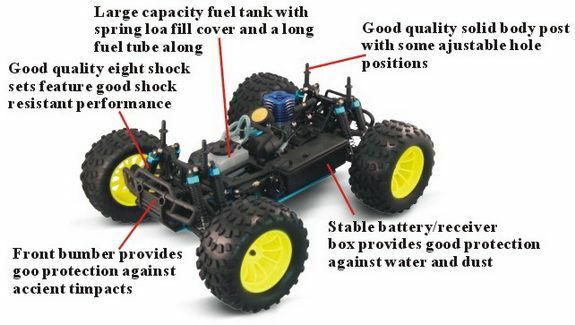 With tremendous engine power and extra large tires , Jeep trucks can successfully fulfill more difficult actions than buggies or cars can.It is 1/10 scale Jeep truck of is of pivot ball suspension. 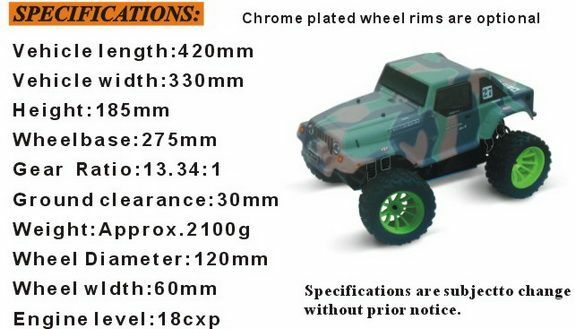 12.Chrome plate wheel rims are optional.